Let's take a look at the search configuration. So I'm going to go to search and meta data and then search pages, and in Drupal 7 I'll go to configuration and I'll go down to search settings. So first of all the title has changed. 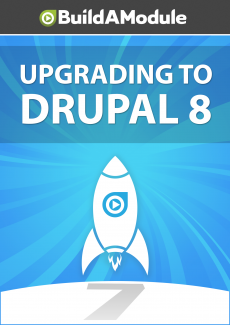 In Drupal 7 it was search settings, in Drupal 8 search pages. The reason for that is that in Drupal 7 there's only one page for search, whereas in Drupal 8 it comes with two pages by default and we can add additional search pages based on different criteria. Now this is pretty cool.